​Open to anyone wanting to learn and practice different arts. No reservation needed. ​Pamela Huston will demonstrate how to use Acrylic Paint with Flowtrol and how to make a pulled string art painting. Both processes are captivating and the results are beautiful. Painting with string has been around since before we were born. It’s easy but the paint does tend to fly, so make sure you wear your smocks or paint clothes. Hands On Demo by Barbara Berkesch will show to make a 5” dream catcher. The ring will be wrapped in suede lace, then the webbing will be artificial sinew and the lace will be decorated with feathers and wood beads. The attached photo is of one of her dream catchers, it has beads strung into the webbing. It would be easier for everyone to not string beads in the webbing, so the ones that everyone makes will be different from the photo. If anyone has feathers that they would like to use they can bring them to the demo. 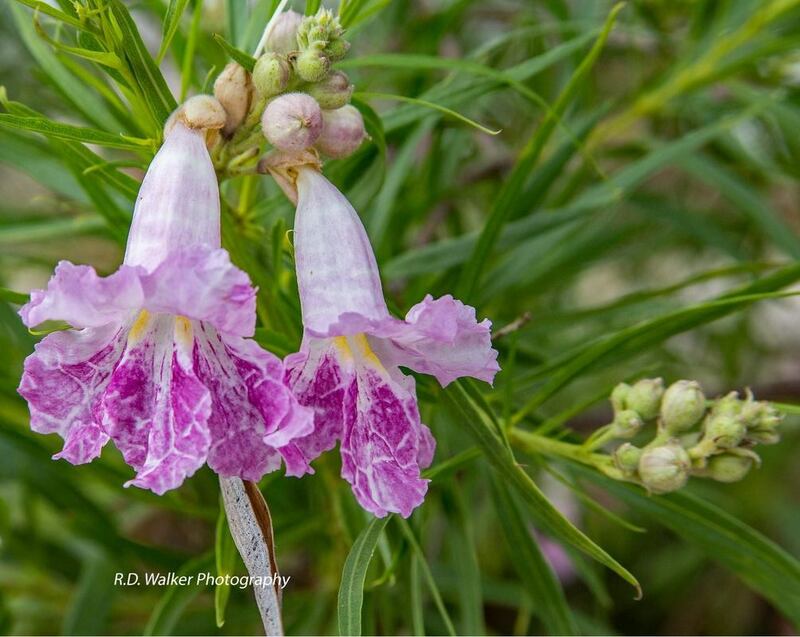 Barbara is a member of the Llano Art Guild. She makes stamped leather art pieces and dream catchers. Hands on Egg Tempera Painting. Egg tempera, is a permanent, fast-drying painting medium consisting of colored pigments mixed with a water-soluble binder medium, usually glutenous material such as egg yolk. Janet became intrigued by egg tempera when she came to love iconography. For over a thousand years, egg tempera was the medium in which iconographers depicted Christ and the teachings of the Church. Janet found a teacher in Austin who gave a week-long introduction to egg tempera and she was hooked. Janet has studied with other teachers since then. Janet’s icons are displayed in churches in Texas, in private homes, and in monasteries in the US and England. Janet also sings and spend much of her time working with fiber arts, especially quilting. Marsha Lovelady will demonstrate the art of paper mâché. Paper mâché is a fun, inexpensive way to recycle bottles and other items. From wine bottles to paper towel cardboard rolls, this ancient art form is great for all ages. 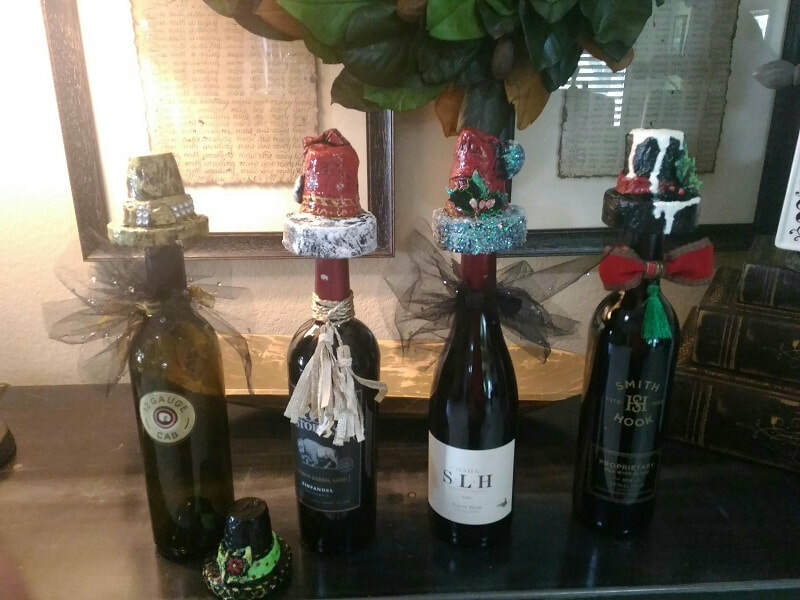 The demo will go through each step and offer an opportunity to make a gift wine bottle topper. All materials are supplied. Rick Walker will put on a condensed version of how the digital camera works. Please bring your camera and accessories, such as lenses and your tripod. Rick will cover as much information as time allows. Rick has had a passion for photography for most of my life. Rick was the photographer for the junior high annual staff, and high school news paper and annual staff. He did sport photos for the local news paper in exchange for using their dark room. He trained at a local photo studio in portrait, lighting and dark room photo editing. He continued his training at South Plains College. It is his wish to help all that want to learn how to take better photos, and how to get the most out of their DSLR Camera. ​She moved to Mason in 1997 and has lived there for the last 20 years. She feels Mason is indeed her home. 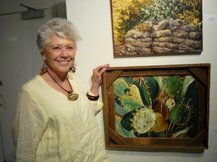 She has always been an artist, and the cactus and landscapes around Mason have inspired her work. The cactus paintings are painted with acrylics and are from photos she took of cactus in Mason County. Sue enjoys painting and quilting. Jean will demonstrate using gesso and watercolor on watercolor paper. The use of gesso glazes can add a subtle, dream-like quality to a painting, obscuring detail. Watercolor, gesso and watercolor paper will be supplies. Jean was born in Flat, Texas, raised in Amherst, Texas. She moved to Ballinger, Texas with her husband, Charles, in 1995 after retirement from the U.S. Border Patrol. She began painting in1970 and soon begin teaching. She enjoys painting with oils, watercolor, acrylic, and pastel. Carla Sanchez will give a hands on Oil Painting Demo on painting glass. Carl is a very talented artist and will share her approach to painting realistic glass in oil. Please bring brushes and oil paint (if you have them). Canvas, brushes and paint will be supplied as needed. Carla attended SUNY at Stonybrook, double majoring in Premed and Psychology. She later went on to receiver her Masters in Psychology/Counseling. It wasn't until 2006 that Carla was able to make art a priority in her life again. She now resides in Llano. Pamela Huston will give a hands-on Acrylic Paint Demo with Floetrol medium to improve paint flow and workability. The process will be with flowers that we will blow air on with straws. Please bring thin and medium brush and acrylic paint (if you have them). Pamela will supply everything else necessary for the demo. Pamela Huston is an abstract acrylics artist living in Llano. Barb will provide a demonstration on embellishing fabric with pencils, crayons and threads. Materials will be supplied. Barbara Selby has been the owner of Barb's Quilt Nook in Kingsland since 2001. Her shop offers a wonderful selection of quality fabric, sewing and quilting notions and machine repair. She also carries new Janome, Necci and Brother machines and used machines. Barb enjoys giving ideas on how to embellish quilted items and creating color selections. The shop also has a unique selection of patterns with samples.